Some roadways you travel every day have been ranked as some of the worst in the country, according to a new report. The Reason Foundation, an organization that provides public policy research, released its 19th annual report on the performance of state highways. Maryland ranked a low 48th while Virginia placed 18th. The 109-page report has a breakdown of all state-owned roads broken down into 11 categories, including congestion, deficient bridges and fatality rates. Maryland is detailed as having the lowest performance on urban interstate congestion, but it fared best in fatality ranking. Maryland spends about $400,000 in total disbursements for bridge maintenance and construction per mile. In 2008, Maryland ranked 43rd in the overall performance ratings, down two positions from 41st in 2007. Maryland has a total of about 5,407 miles under its state-controlled highway system. Among the performance measures it fared best in rural Interstate condition (1st tie) and fatality rate (18th). On the other hand its lowest performance measures were urban Interstate congestion (48th), capital and bridge disbursements per mile (47th), maintenance disbursements per mile (45th) and total disbursements per mile (44th). 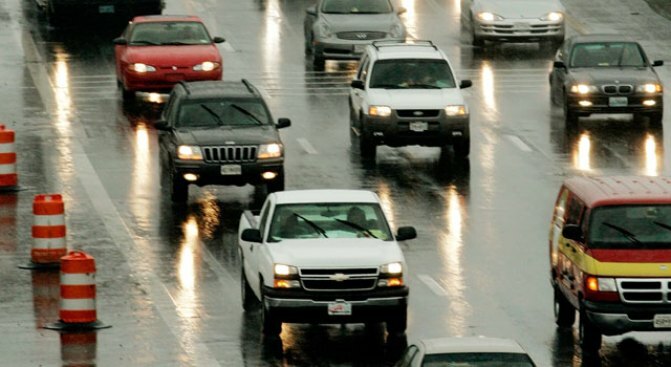 Virginia ranks 18th in the nation in state highway performance and cost-effectiveness, falling six spots from last year’s report. Virginia ranks 8th in total highway disbursements, 11th in fatalities, 32nd in deficient or functionally obsolete bridges and 18th in urban Interstate congestion. Virginia’s best rankings come in rural Interstate condition (1st), state-controlled highway miles (3rd) and capital and bridge disbursements (4th). Virginia’s lowest rankings are in narrow rural lanes (45th) and deficient or functionally obsolete bridges (32nd). For the first time, the report also included the District of Columbia. The report shows D.C.’s system has one of the lowest fatality rates in the country, but its pavement condition, congestion and deficient bridges are among the worst. DC also is spending more, per mile of responsibility, than most states.